Oh my gosh, how cute is this bunny? When something is that adorable, it just HAS to go in my ATC Journal. So, I made him a nice CAS page and he's quite happy. But, you wanna know the best thing about Bunny with Gift? He is free, yes, you read that right, free, with qualifying purchases at Funky Kits. Ok, so I might just skulk off and stand by my Disclaimer now... Ahem! 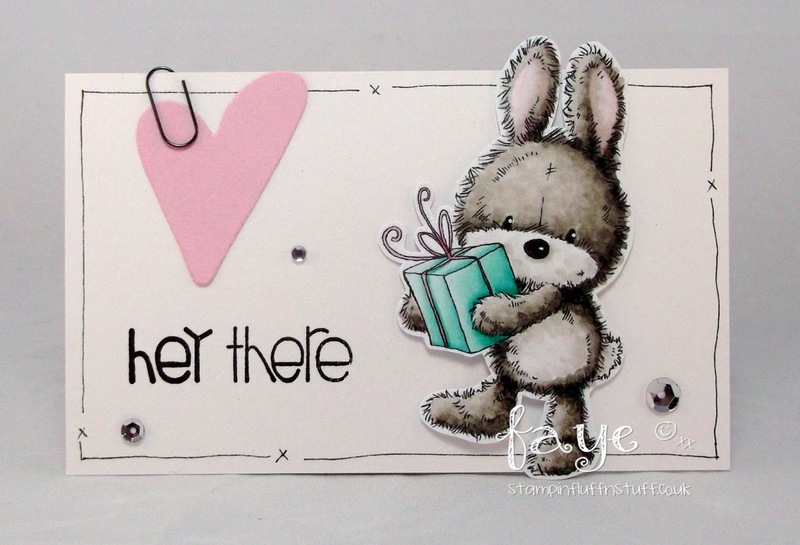 Love your adorable and gorgeous bunny page. LOVING your fur on this super gorgeous bunny!! It's definitely 'FUR enough!' - ok that was the best one I could come up with! Your journal is full of gorgeousness and this page is no exception, love him. Guess where my next click is going to take me? What a cute little bunny! I love how you colored the fur! So Adorable! 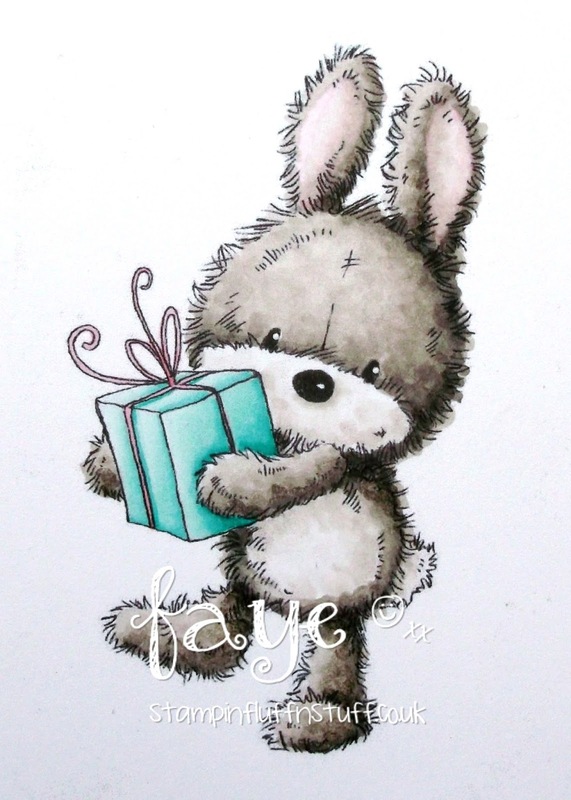 Oh he is adorable Faye, love him! sooooooooooo cute ! love it ! Oh, I just realised that I have this little cutie stashed away on my computer! Along with some other Funky Kit loveliness...none of which has seen daylight yet...oops!